Q3 of 2016 really could have been a big one for Japanese RPGs. With Final Fantasy XV and Persona 5 originally slated for release in the third quarter, July-September was in danger of relegating the remainder of the year to relative obscurity. Yet Persona 5 only came out in Japan within this window (I realise we knew this a long time ago, but it’s still a bitter pill), and as for FF XV… Well, it was delayed again. This pair of facts, combined with the ongoing absence of smaller yet nonetheless exciting titles like Cosmic Star Heroine, left us with a decidedly lighter period of releases. At least for me personally, this allowed me to give more time to other games, most notably an old, highly revered classic. But then we reached Q4, and received two very heavy hitters alongside a decent selection of smaller but far from insignificant titles, leaving us with a lot to talk about. Let’s get stuck into the second half of 2016 in Japanese role-playing games. Releasing in mid-July, before my very late Quarter 2 summary went up, the much-anticipated Square Enix title I Am Setsuna promised to prove a number of things – not only that the notoriously ambitious company is capable of shipping games on time, but in doing so that it might better cater to the tastes of some of its oldest fans through gameplay-first experiences. An admirable goal to be sure, and while they may have pulled it off for all I know (opinions I read/heard were genuinely mixed), ultimately all that the snow-covered, piano-scored exercise in melancholy did for me was remind me that I never did finish Chrono Trigger back in the day, and I should probably fix that. Don’t get me wrong – I didn’t just drop I Am Setsuna straight away. I played the first two to three hours and enjoyed the instant sense of atmosphere the visuals and music provide. And yet with each and every Chrono Trigger-esque enemy encounter I was reminded more and more of how much I enjoyed the SNES gem when I initially tried it on DS seven years ago. Fast forward a few months and I finally did finish Chrono Trigger in late October. I loved every second. If I have time (highly unlikely) I might write about that experience one day. It’s not all that relevant on this page though, so for now I’ll just say a hearty thank you to I Am Setsuna and move on. 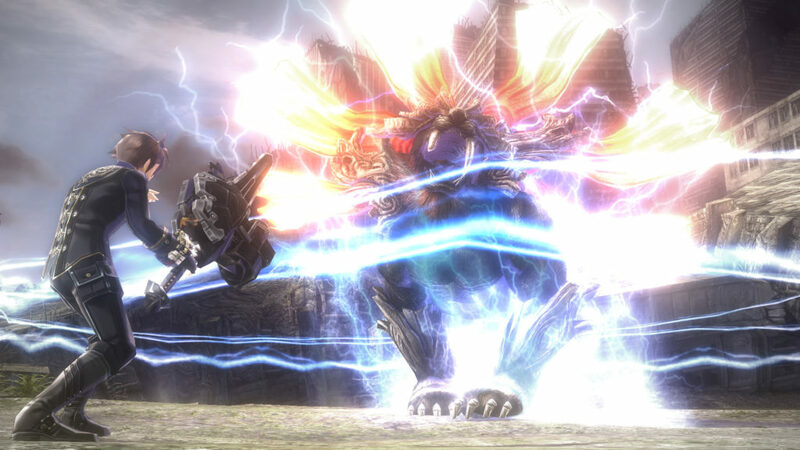 To God Eater 2: Rage Burst, then. It’s certainly been a long time coming but the vocal fanbase of the original God Eater on PSP finally received their beloved localisation of the sequel on Vita and PS4 in August (cross-buy! ), with the remastered original thrown in as a nice bonus. The last time I wrote one of these summaries I expressed doubts that GE2‘s Monster Hunter-like gameplay would be JRPG-y enough to qualify for a mention on this page, but if there’s one thing I did learn in my very brief time with the game, it’s that the much heavier story focus does just that. Though I didn’t get to play as much of it as I wanted to, I was pleased to see a lot reminding me of Freedom Wars, which is never a bad thing. A game I completely forgot to mention in the upcoming section of the Q2 summary – unforgivably, I might add – Dragon Quest VII: Fragments of the Forgotten Past is a game I also would have forgotten to play had I not found myself in a unique situation where a colleague handed his 3DS to me while I was waiting for transport back in September. I ended up playing almost two hours on his save and there is no doubting that the odd cadence of the DQ series was in full swing during that time. 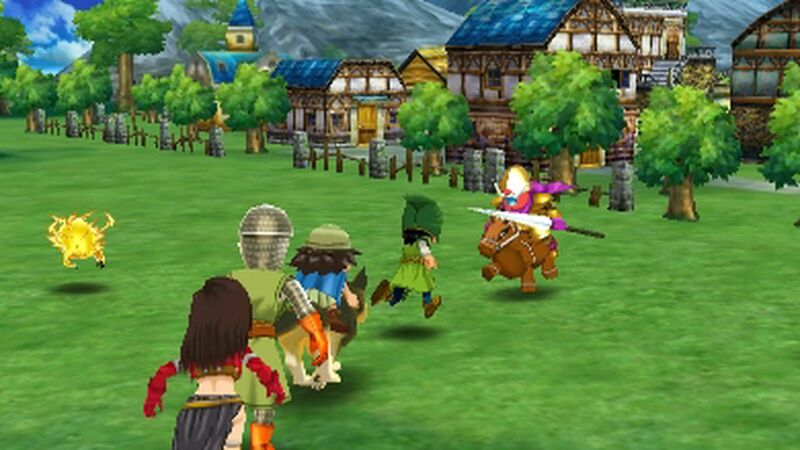 Having never before played a Dragon Quest game, the group-targeting style of battle as well as the relative scarcity of both combat and level-ups, the low camera angle and the highly realised Akira Toriyama art style all combined to raise my curiosity significantly – though the 100-hour-minimum marketing pitch for the main story gave me pause. I will be prepared the next time a Dragon Quest game launches, mark my words. All of which brings us to the fourth quarter of 2016, a period crammed with big-name JRPGs. I’ve only played about half of those on offer – so sue me, life gets in the way – but with one exception the games I have played have taken a significant bounty of hours from me. Let’s start with that very unfortunate exception – World of Final Fantasy. I was firmly on the hype train for the PS4/Vita cross-save chibi-JRPG, especially in the looming shadow of Final Fantasy XV‘s burdonsome release. WOFF seemed like a surer hit on the vast dartboard of Square Enix releases – a straightforward turn-based battle system, an adorable art style, a wacky totem-stacking central mechanic, plenty of FF fanservice, sweet sweet portability – and according to what I’ve played (multiple demos and the first 90-odd minutes of the story) it’s wonderful. Friends who have played much more than I have largely echo this sentiment. However, World of Final Fantasy ultimately just landed at a bad time for me, plain and simple; right between two big trips, on the same day as the excellent Titanfall 2 and a bit too close to the games I’m about to talk about. I do hope to go back to it someday but given what is yet to come, the odds are not good, and that’s a bit sad. Now for perhaps the pleasant surprise of the year, Paper Mario: Color Splash. After Tokyo Mirage Sessions made me boot up my Wii U for a hyper-colourful JRPG back in June, leading to hours of enjoyment, the same thing happened again in October for everyone’s favourite adventurous cutout plumber. Much had been made leading up to Color Splash‘s release of its stubborn refusal to stray from the consumable-based battle system that defined 2012’s disappointing Paper Mario: Sticker Star. Some people even petitioned to get the game cancelled (yay Nintendo fans). And although in the end said battle system has definitely been refined and deepened – if in a minor way – Color Splash is ultimately a lesson that over-simplifying your analysis of a disliked game can shut you off to a real gem. Because just about everything else in Color Splash is far, far better than it was in Sticker Star. In sticking to their guns the team at Intelligent Systems have crafted a thoroughly entertaining adventure that not only looks and sounds gorgeous on a HD setup, but features one of the funniest scripts – and corresponding localisations – to ever come out of one of Nintendo’s major studios. Ultimately a stripped-down cast largely lacking the kinds of memorable original characters seen in the older Paper Mario games, Color Splash laser-focuses its jokes on the Toads, Shy Guys, Goombas et al of the Mushroom Kingdom, and there is barely a line from an NPC that doesn’t make me grin – if not laugh out loud like a moron. The game is also lengthy, set in a world of properly interconnected levels, and completely unafraid to be difficult. It’s an all-around astonishing achievement that seems like it shouldn’t have worked, but really does. And now we come to Final Fantasy XV, the game that had ten years of expectations lingering over it and, against all odds, actually turned out kind of alright. I’ve played about 16 hours of the sprawling epic, which for my brother translated to Chapter 11 story progression but for me means merely Chapter 3. Such a dichotomy seems pretty common among a cross-section of those I know who have played FF XV, as while the story feels both grandiose and personal – thus providing impetus to push on with it – there are just so many side activities to take on, fish to catch, recipes to collect, skills to improve; the list goes on. You can easily get lost in the world of Eos, questing with Noctis and his three buddies/royal retainers. The game’s open world ambitions ultimately fall short of many western-developed adventures, and even last year’s rather similar Xenoblade Chronicles X, which features a much bigger, more varied world with more things to do. Yet there are few open world games that look as jaw-droppingly gorgeous or sound as wonderful as Final Fantasy XV, and above all the relationships between Noctis, Gladiolus, Prompto and Ignis are believable and powerful, transcending every part of the game from combat to menus to the plot and ensuring there is always a reason for heading towards that next goal. I’m still far from finishing FF XV but I now know almost certainly that this will be my early-January game, and I can’t wait to get some more consistent time to play it. I’m just going to say it straight away – Q3’s winner was a bit of a Steven Bradbury. 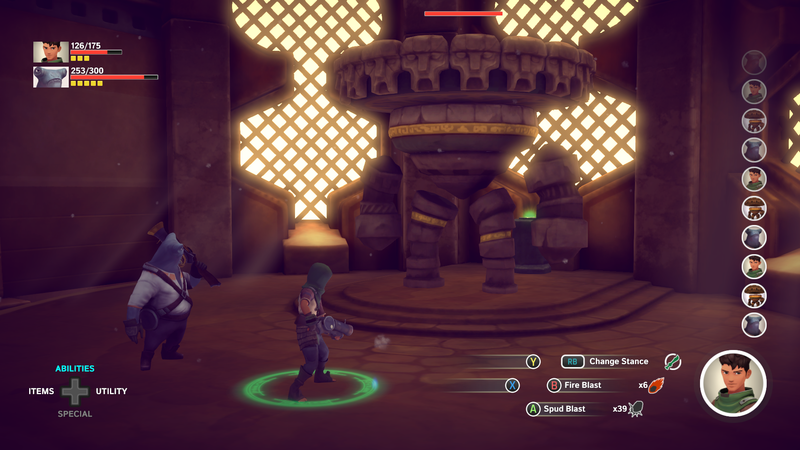 Almost no-one I talk to has heard of this game, but September’s Earthlock: Festival of Magic turned out to be an unexpected delight. A Norwegian-built homage to JRPG conventions with a twist, Earthlock is notable not only for being a mild Kickstarter success but also for its choice to launch on Xbox One before the much more JRPG-prolific PS4. Not only that, but it launched immediately as a free Games with Gold title on September 1st. Turns out I would have happily paid for it conventionally, as despite some extremely basic animations and a heavy reliance on fade-to-black sequences, Earthlock manages to look charmingly good thanks to a unified art style that ties together its otherwise scattershot characters and environments, brought to life further by dynamic camera pans aplenty. 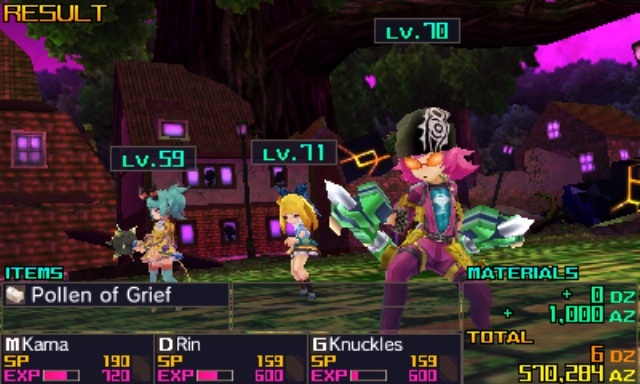 The game’s basic yet colourful UI also helps define the game’s visual identity while also lending clarity to a deceptively deep stance-based battle system where every non-physical action uses up a resource of some kind. 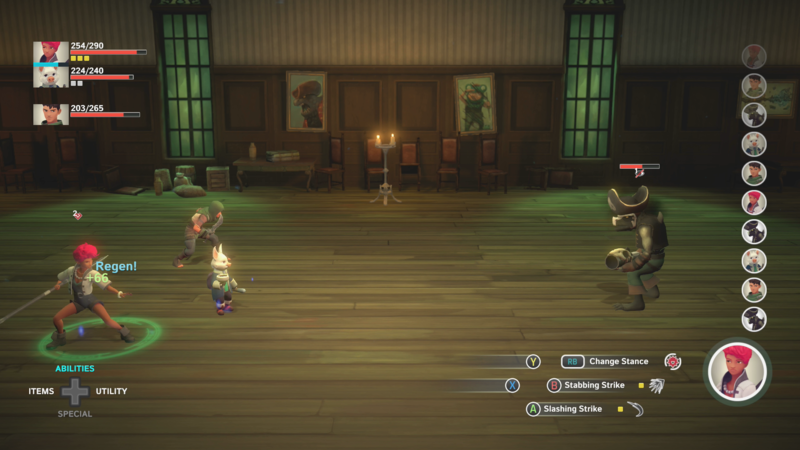 There isn’t all that much more to say about Earthlock: Festival of Magic, especially in light of my rather modest playtime, other than that it’s still slated for release on PS4 sometime in the future and if this brings it into your reach, it deserves your attention when it does. 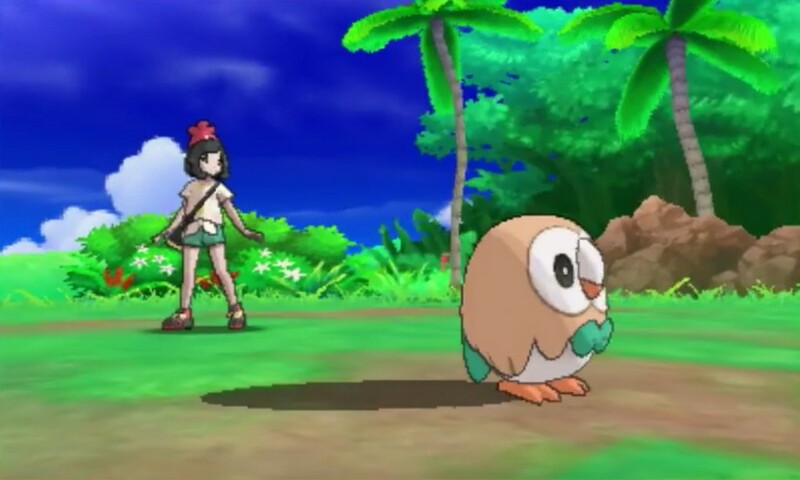 Truth be told, of course, the game wouldn’t have stood a chance in this section had it released in the heavyweight Q4, and as much as Final Fantasy XV was pushing for Pick of the Fourth Quarter in my mind, I just have to give that nod to Pokemon Sun. At the time of writing I am 68 hours deep in the game, meaning it has not only successfully motivated me to roll all the way through the central story, but pulled me into the post-game grind I never thought I would go back to. I just have to get to the end of that 20-game win streak and defeat Red in the Battle Tree! I have to! Pokemon Sun (along with its counterpart Moon) stretches the 3Ds to its technical limits but does so alongside some tremendous quality of life changes that have arguably been long overdue to the series, such as the ability to add a freshly caught Pokemon to your party immediately and/or check its stats straight away, the complete removal of HMs in favour of a fun on-demand Pokemon Ride system, and *gasp* the late-game option to actually see the previously mysterious Individual Values (IVs) of your Pokemon! The story of the game, while more linear and cutscene-heavy than ever before, puts focus on supporting characters and their Pokemon to a degree never before seen in the main series, easily putting it right up there with Black/White and Omega Ruby/Alpha Sapphire in terms of narrative quality. 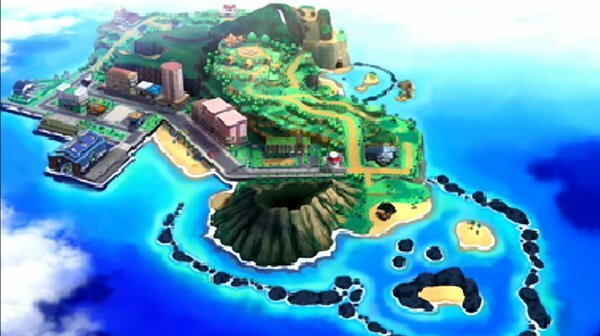 The game’s Hawaii-inspired region, Alola, is also a real star, providing some surprisingly varied locales with well-matched wild Pokemon encounters – the highlights of which are the wonderfully crazy new monsters and the handful of regional variations on Kanto favourites. The addition of Poke Pelago, which gives your boxed Pokemon something to do for a change, is deviously clever in the way it motivates you to check back from time to time, Fallout Shelter style. I have to admit it is a big disappointment to see the back of the PSS, Pokemon X & Y‘s social gaming masterstroke, and the multi-purpose wild Pokemon SOS chaining system is definitely uneven. But my goodness, I adore this game. 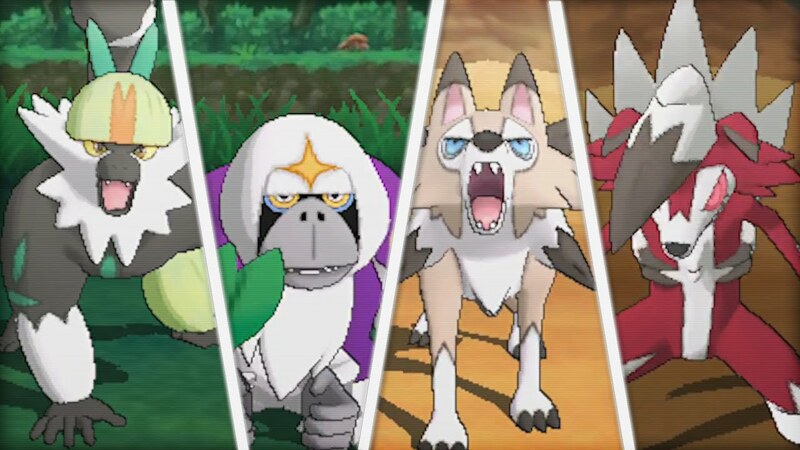 Pokemon Sun is a very worthy entry into one of gaming’s flagship franchises. An early Q3 game with a long legacy and a great deal of expectation – for other people – was Star Ocean: Integrity & Faithlessness. I can’t tell you if I would have given the game as much attention as I did had I not been trying extra-hard to look out for JRPGs this year. As it turns out I did own it for a little while, though it was my brother who played it. Allegedly a mere 20 hours in length – very short for a Star Ocean game according to what I’ve been told – the three things I can say about it are that it’s fast – most cutscenes take place in real time and you can still move around within them, while the battles lack a transition screen and end very quickly – it’s beautiful – not necessarily in terms of assets or variety but in terms of its rare (for a JRPG) 1080p/60fps presentation – and it reminds me a lot of the Namco’s Tales series art-wise. That’s all I got. Because I didn’t go back in for another round of Fairy Fencer F when it was re-released on PS4 as Advent Dark Force, and the long-awaited 16-bit homage Cosmic Star Heroine is still nowhere to be seen, that about wraps it for Quarter 3. There are a few big fourth-quarter JRPGs worth talking about here, starting with Dragon Quest Builders, the DQ-Minecraft hybrid game that has been garnering a lot of positive buzz in certain online circles. I gave it a wide berth because I am fundamentally wary of Minecraft the way I am about MMOs (I’ve never touched it for fear of it latching on to my addictive personality). Builders never really took off in any of my friend circles either, but those who have only say positive things. The game is even on Vita! Next up is The Legend of Heroes Trails of Cold Steel 2, the rapid-fire direct sequel to one of my favourite JRPGs of Quarter 1. But while I have played a tiny bit more of the first game since March, I am nowhere near the end, which leaves me out in the cold when it comes to the second one. Supposedly the sequel is so intimately connected to its predecessor that it’s almost just like a second chapter – we’re talking Golden Sun territory here. So I cannot say any more on the subject. There’s more, of course. No doubt to try and claw back some good will among JRPG fans after their worrying purchase of Atlus, SEGA made a big deal of Europe’s presence on gaming’s world stage this year, promising that the days of major Atlus games releasing in the USA months before PAL regions (Australia included) without any communication whatsoever are now well in the past. Their opening salvo to back this up came in the form of two 3DS releases: Shin Megami Tensei IV: Apocalypse and 7th Dragon III Code: VFD. 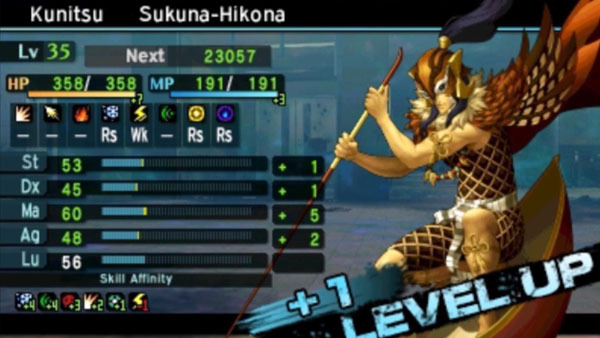 The former is a kind-of-sequel to the highly-regarded demon hunter SMT IV, which itself took an insanely long time to come to Australia; the latter is, well I had never heard of it before I wrote this, but its strategic gameplay style and colourful presentation make me really want to play it. Damnit 2016, just slow down for a second! I spent a not-insignificant chunk of Quarter 3 playing JRPGs from earlier in the year, but since I’m mere days away from counting down the year’s best gaming-related stuff anyway I’ll keep this brief. I’ve already briefly mentioned Trails of Cold Steel, so I’ll just quickly add that I played a smidge more Bravely Second on one of the weekends in between bigger releases, and added quite a few more hours onto my Tokyo Mirage Sessions save file. I can’t really say my opinion on any of these games changed a whole lot, though in the latter case I did uncover even more battle mechanics and story threads to further hook me in. I hope I can go back to it yet again before April next year. As we look ahead to 2017, it’s hard to deny there are some juicy JRPGs lying in wait there as well – almost as many as this year actually. The likes of Ever Oasis, Ni No Kuni 2, Dragon Quest XI and of course Persona 5 paint a picture of a gaming landscape that once again has room within it for Japanese role-playing games, and that fills me with great excitement. 2016 in JRPGs has been a ride, but it was no anomaly. Bring on a new year of style, stats and stories.